Simply gorgeous inside and out, this 3 bedroom 2 bath home has everything a family needs... split bedroom plan, large formal dining room, open floor plan with kitchen overlooking family room and a lovely dinette. Easy care corian counter tops with beautiful 42 inch wood cabinets, gas range & ceramic tile makes this kitchen a cook's delight. 4 year new carpet throughout bedrooms, living & dining rooms. The master bedroom is a spacious 12.5 by 15 and has its' own private access to the over-sized screened lanai. Master bath has garden tub and walk in shower, dual sinks, private WC and a heat fixture to keep you extra warm. The spacious walk-in closet has room for clothes and shoes galore. Bedroom 3 has a bay window for extra room and light. This home has many special features, like plantation shutters providing style and privacy, a skylight in the family room to brighten your life, a water softener to sooth your skin, an in-duct media filter system to keep your indoors healthy, an extended screened lanai so you can enjoy the great outdoors bug free, vaulted ceilings which make this home feel even bigger than it is and an inside utility with cabinets for neat storage. Only a short walk to the lovely playground and community pool and cabana. 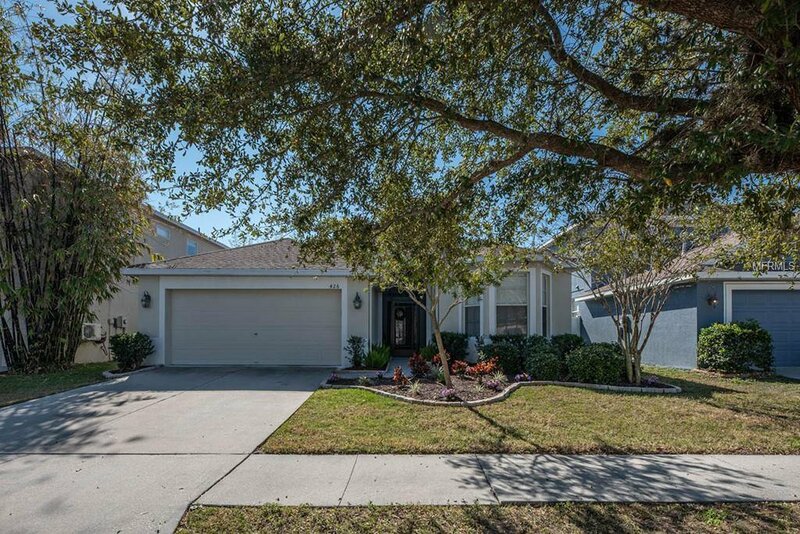 This gem of a home in a private community is gated and has a very low hoa. NO CDD. Call today for your showing. Listing courtesy of CENTURY 21 BEGGINS ENTERPRISES. Selling Office: KELLER WILLIAMS RLTY MANATEE.